Hi, I'm Counter! I used to use a TI-84 Plus in high school and wrote a couple dozen short programs for it, but haven't have any calculators since (though I'm now looking at some now that I've found that there are models that treat irrational numbers properly). I've also been using Python the last few years--I'm still slowly learning many of its features--and have lately also been trying to teach myself Elixir. TruDev invited me here, so I thought I'd go ahead and say hello and hopefully get to know this community! Heya and welcome to the forums and Discord server! I'm not truly a new user. (check my registration date) In fact, I have been checking the latest posts section once in a while for almost a year... (even before getting registered). 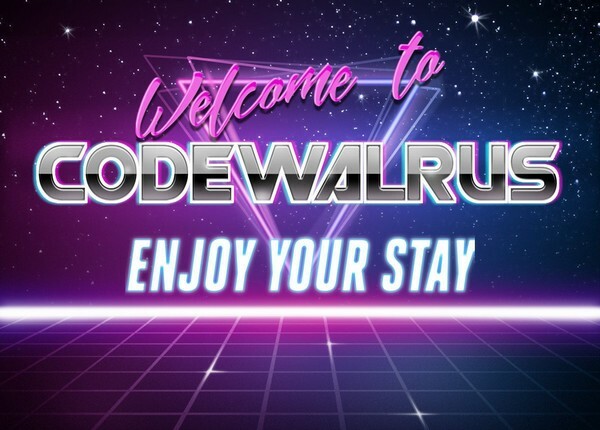 Frankly, I don't really remember how I found out about codewalr.us. I've got a Casio PRIZM (CG-20), RPI 2B+, several STM ARM devboards, a mod-chipped PS2 Slim, and, of course, several PCs (Intel-based). I'm an OpenBSD user and a unix type of guy. I've got some electronics too, but I don't really have much plans to get into that. These days, I'm learning 6502 and NES, and I'll hopefully buy a true clone or a second hand soon as well. I'm mostly an Art/Math/Design guy rather than Programming/Tinkering/Implementation, so that's what I might ask you guys for help. Welcome! I love old systems, I have numerous myself. Hello all. I visited because of the TIMGUL archive (recently got into Music Generator) and registered because this looks like a cool place to be. Hello! Welcome to the greatest website on earth, as nominated by myself.